Enjoy a new tradition at Shank's Mare and join us for our Crush the Calories Black Friday Hike. The holiday weekend is a great time to spend with family and friends, and who doesn't need some exercise to work off that Thanksgiving meal. 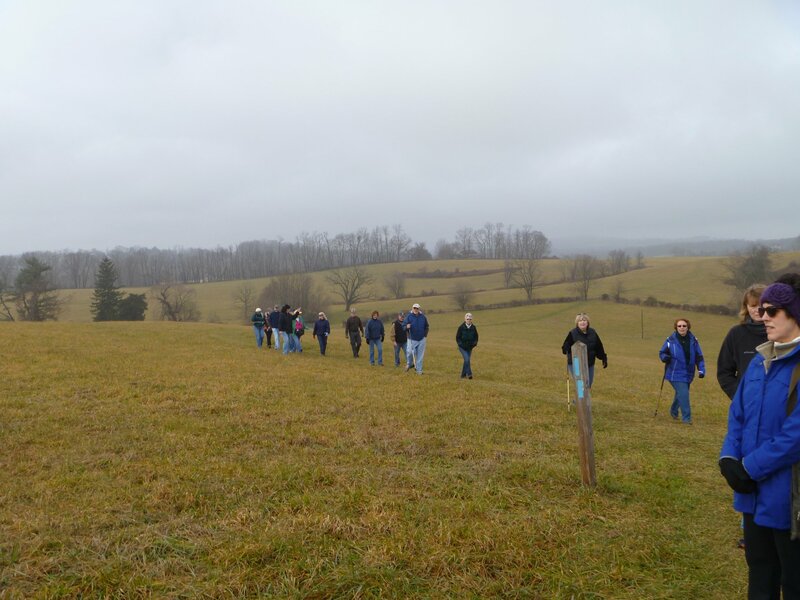 Forget the Black Friday crowds and join us for a guided hike through the river hills along the Susquehanna. This is a free program, but we ask that you bring a donation of canned or packaged food for our annual Holiday Food Drive. Dress for the weather. Kids and dogs are welcome. We'll have hot cider on your return to Shank's Mare. Wear sturdy shoes and dress for the weather. Bring a food donation for our Holiday Food Drive. Shank's Mare guides have years of experience leading adventures through the river hills. They are happy to share highlights of the area so you get a true "sense of place" along the Susquehanna River. Free program but please register so we know how many will join us. A donation of canned or packaged food to our Holiday Food Drive is appreciated.